Our team will tailor a bespoke package to suit your individual requirements, turning your dreams into reality. 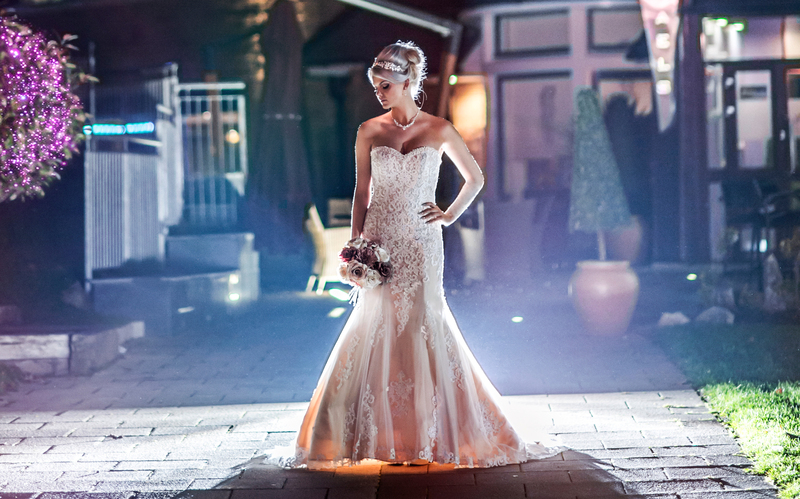 From the moment you make the initial enquiry you will be looked after by our professional Wedding Coordinator and Events Manager who will discuss and personalise your perfect day. We will advise you on menus, drinks packages and run of service and take away all the stress and worries that are usually associated with this special day. 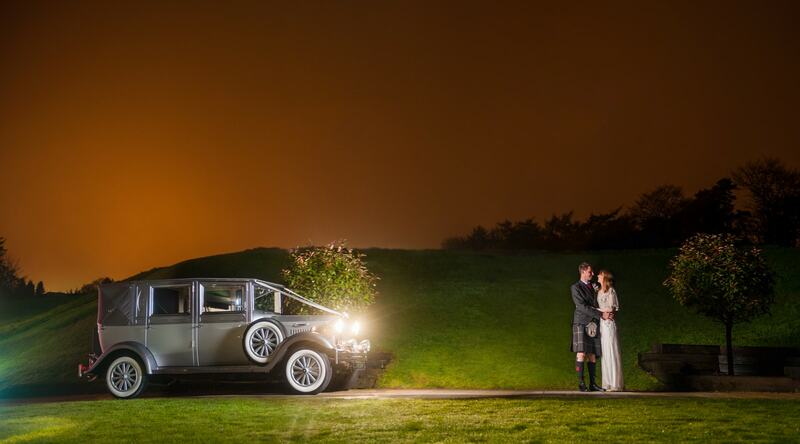 Our Magnificent Boutique style hotel is the ultimate Wedding Venue in the heart of Newton Mearns. 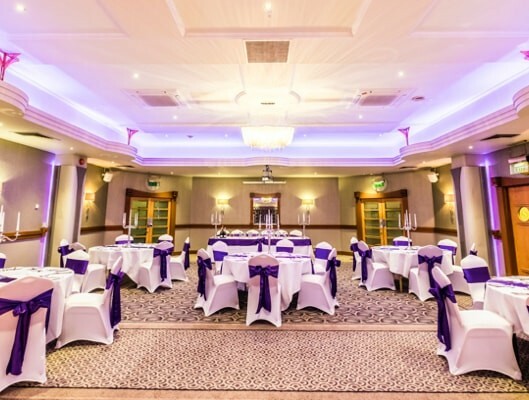 The leafy suburbs of Newton Mearns provide a relaxed and tranquil setting for your special day, whilst not straying too far from the convenience of Glasgow’s city centre. The Patio and Roof Terrace overlooking Crookfur Park make for ideal locations to have your pictures as a newly married couple. This perfect setting makes for the perfect Wedding in ultimate luxury. Our Snug bar is the smallest of our rooms decorated to the highest standard and unique finishing touches is named very appropriately as the Snug Bar is truly intimate setting for small parties to gather before the wedding and after the ceremony for Welcome drinks. 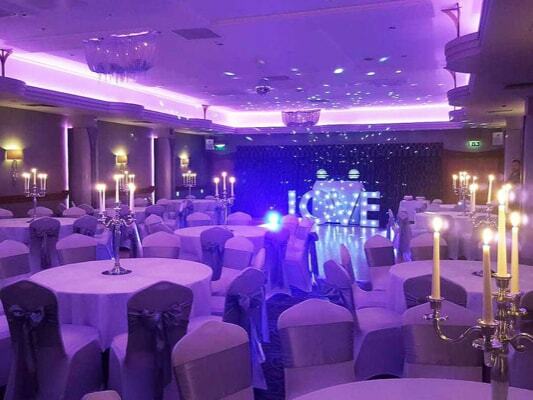 With mood lighting we can help create the perfect setting for your Wedding to fit in with any colour scheme that you have chosen for your big day. The Windsor Suite itself is completely self-contained with its very own private entrance, reception area, toilets and bar. Your guests will enter via your own private entrance into our reception area before entering into the main room where your ceremony will be held. We have a separate entrance for the bride to enter the room ensuring that no one will see the bride before her big entrance. The room has 3 large windows along one side reaching from floor to ceiling to ensuring the room can be filled with natural light. We also have floor to ceiling curtains that can be closed over if you would prefer to have the room filled with the mood lighting to create a special ambiance unique for your Wedding Day. The Sandringham Suite is the largest of all of the rooms and has been completely revamped and decorated to complement both the Windsor Suite and Snug Bar with a flowing theme throughout. The Sandringham Suite also boasts of a bar within the room ensuring your guests will be well looked after on the day. The Sandringham Suite has its own large dance floor in the room that was built to be covered up for your Wedding Breakfast and then uncovered for your party in the evening. 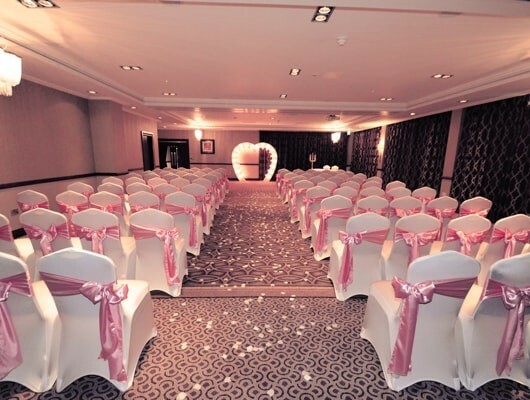 The Sandringham Suite also has its own mood lighting and will compliment any colours that you have chosen for your day. Our new Boutique Hotel boasts of 30 bedrooms and suites. Each room has been finished to the highest standard providing our guests with not only the most comfortable stay in the most relaxing of surroundings but also ultra-modern setting. Your guests will be given preferential rates when block bookings are made. The following day, prior to check-out, they will have full use of our leisure pool and spa facilities before heading back home with memories of your Special Day. Finally, the parking at Parklands Hotel is complimentary. Your guests are able to leave their cars in the carpark overnight at no additional cost. To discuss your wedding plans, give us a call on the number below. Alternatively, email or fill in the form opposite and a member of our team will get back to you.